Frisco Rowing Center is an all volunteer organization. The board of directors are elected yearly in an annual meeting. The officers are then chosen in the following board meeting. 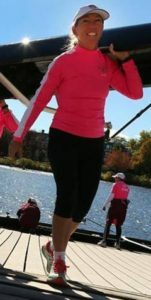 Joanne Stolen was a founding member of Frisco Rowing Center which started in 2009. She was also a founding member of Navesink River Rowing in New Jersey which started in 1983. She is a USRA certified coach. Ted has many years of rowing experience, in team boats and singles. He was a member and former commodore of a Connecticut Rowing Club, Saugatauk. He is now a full-time resident of Summit County. Peggy is part of women’s rowing history. She and her teammates were in the first American women’s boat to race in the Olympics in Montreal. They won a bronze medal. Peggy was inducted into the Rowing Hall of Fame in 2016. Connie Lewis replaced Jane Jones May, 30, 2018 as interim board member. She has been with the rowing Center for many years. She has served on many non profit boards. Rob was a founding member of Frisco Rowing Center. 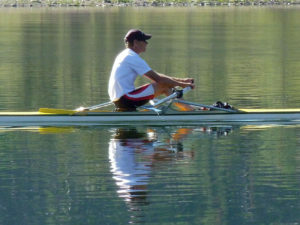 He enjoys rowing team boats as well as a single. He comes to rowing from a background of skiing and bike racing.